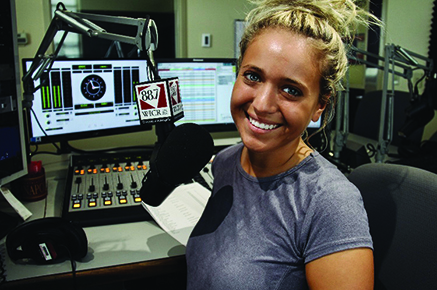 For Mallory Moreno ’19 (communication), her career in radio began well before graduation. Honing her skills on the air at WICR, the student-run public radio station at the University of Indianapolis, Moreno is already working part-time in promotions and on the air at Indianapolis-based radio stations. You can listen to her on weekday evenings from 7 to 10 p.m. and every other weekend on Radio Now. “Radio Now is a top 40 station, so I’m learning a lot about that particular format—for instance, the importance of running a tight board and connecting with pop culture-enthused millennials. I also work in the promotions department at Radio One, which puts me directly in front of this audience and is one my favorite parts about the job,” Moreno said. With an Award of Excellence from the Broadcast Education Association Festival of Media Arts competition and a scholarship from the Ria’s Rising Stars Foundation, Moreno’s credentials are impressive. She plans to pursue a career as an on-air personality. While everything about the radio industry excites Moreno, she’s most in her element behind the microphone. “I love both the science and the art that goes into radio programming and eventually would like to become a program director in a major market. I plan to stay in the radio industry for as long as I can. I really feel like I’ve discovered my place in the world being surrounded by like-minded radio nerds such as myself in this industry!” she said. Moreno is grateful for her faculty network within the communication department, particularly Scott Uecker, WICR general manager and instructor. “Scott works hard for every individual student to put them in the right positions in front of the right people. He believed in me before I ever believed in myself,” she said. For Moreno, taking advantage of the unique experiences UIndy has offered during the last four years has paid big dividends. 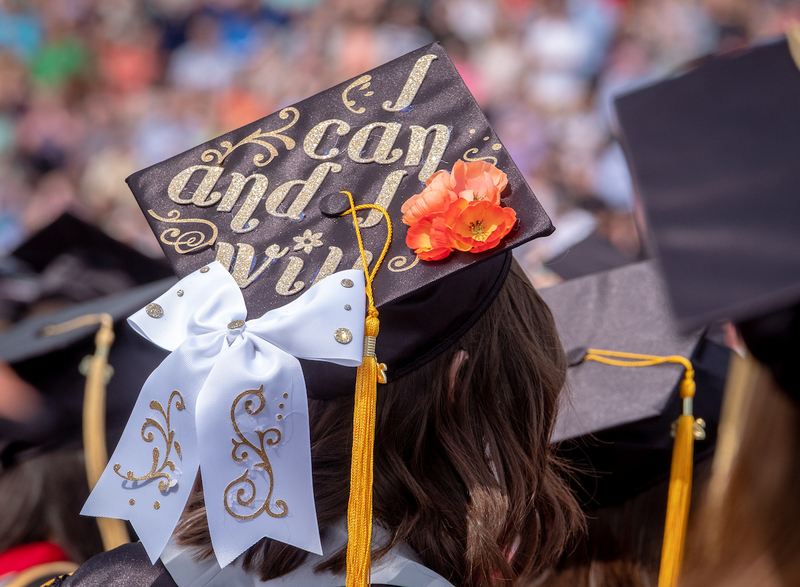 “I’m beyond ready for the next chapter in my life but I remain incredibly grateful for my time here at UIndy and WICR,” she said. Learn more about UIndy’s Department of Communication.